TWICE achieve an all-kill with 'Dance the Night Away'! 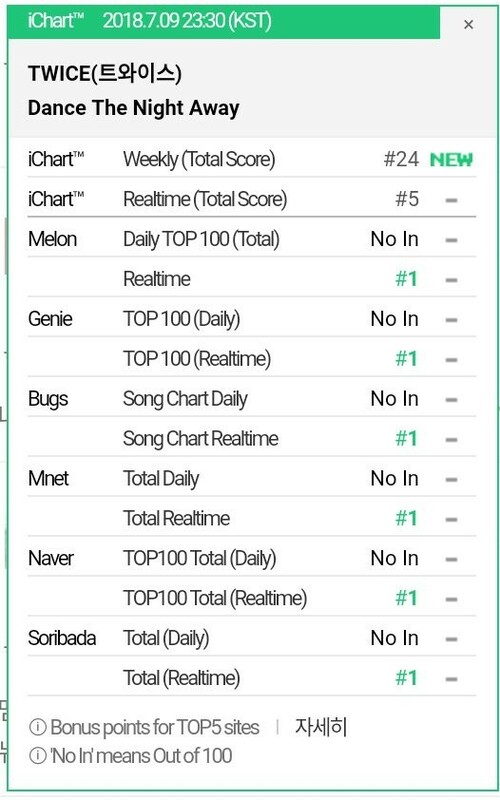 TWICE achieved an all-kill on real-time charts! On July 9, the JYP Entertainment girl group released the 2nd special album 'Summer Nights' and title track "Dance the Night Away". The new album came with one MV, where the girls cheerfully danced and partied on the beach to the summer song. Soon after release, "Dance the Night Away" quickly climbed up charts and managed to hit #1 on the real-time charts on Melon, Genie, Bugs, Mnet, Naver, and Soribada - leading to an all-kill.